The animal testing industry will use anyone and anything in order to create data that leads to grant money. And, yes, they use ponies and other farm animals. The Holidays are upon us! With family, warm cuddles by the fire, and lots of presents come feelings of happiness, togetherness and love. It is during these times that we think the most of animals suffering in labs. I recall our first rescue. It was December 23, 2010, nearly three years ago. The liaison stated that just before the holidays, the dogs are killed whether or not the "study" is over because the company does not want to pay extra to have employees on staff to care for the animals during the holidays. I was stunned. Even if someone believed in animal testing, how could they condone this!? She stated that this would occur even if they were in the middle of a study, so when the holidays were over, they would simply order more dogs from their supplier and start the test all over again from scratch. Therefore, it is during this time I think the most of those suffering in those cold, sterile facilities with no love, no companionship, just nothing ness. And of course, those who are killed and die needlessly. While we fight for them, we also rejoice in the celebration of the individual lives we have been able to save and are in the midst of saving as I write this. This past week, we rescued beautiful Dixie. Dixie was a laboratory "subject" for over three years in one of the worst facilities in the U.S. She was homed to someone who decided they could not handle the psychological trauma she displayed and as a result, she was severely neglected and then dumped at a high kill shelter and placed on death row. That is when we heard about her and jumped into action, and thanks to one of our amazing supporters in the area, she was immediately rescued and brought to safety. Dixie was used for several drug studies and procedures on her extremities that caused pain and suffering both physically and psychologically. Procedures that are simply inhumane and unnecessary. But luckily, Dixie is now FREE and loving her new life. The animal testing industry will use anyone and anything in order to create data that leads to grant money. And, yes, they use ponies and other farm animals. 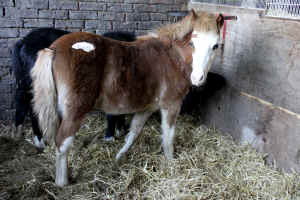 Beagle Freedom Project UK was able to secure the release of 10 ponies used in cruel testing procedures last Saturday! What's that SPELL? WILL TO LIVE! 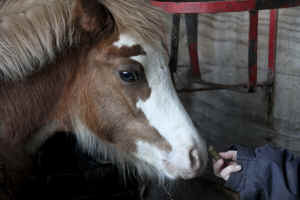 These beautiful ponies are being cared for and loved by our BFP UK representative Vicky Fraser. 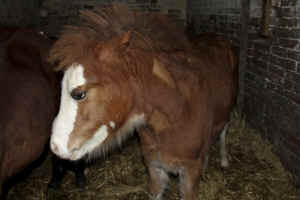 A special thanks to Unite to Care for working on this rescue across the pond! This was no small feat and was extremely costly and will be until they are adopted. Help us help them.